Exposing your skin directly to steam detoxifies it and opens pores, allowing you to remove dirt and debris from your skin gently. Using a facial steamer also stimulates perspiration that gets rid of any toxins that build up in your skin, resulting in a bright, radiant appearance. Rest assured, you don't necessarily have to visit the spa to experience the benefits of face steaming. Invest in a home facial steamer that you can use at home. 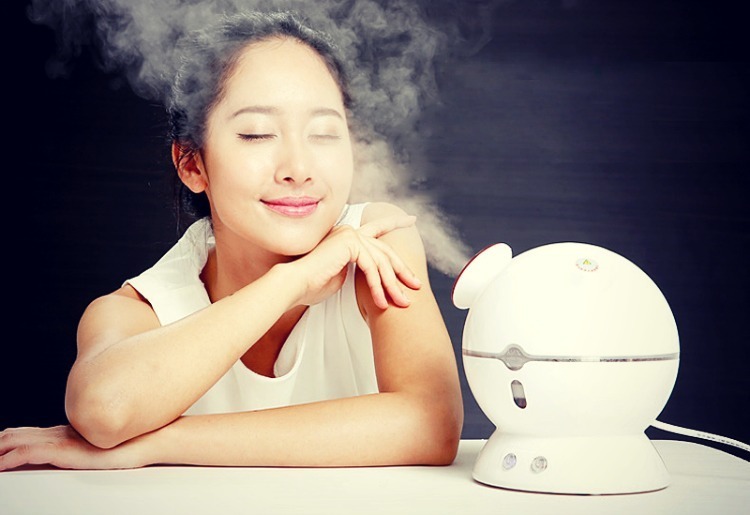 Using a facial steamer can boost blood circulation, leaving your skin youthful, dewy and feeling fresh. However, for the best results, it is imperative you pay attention to proper facial steamer maintenance. Mineral buildup in the steamer can lead to clogs, causing the machine to break down. Mix 1 tablespoon of vinegar with distilled water in the tank. If there is significant mineral buildup, consider increasing the amount of vinegar in the machine. Switch on the steamer and allow the heat to do its job. ​Let the steamer run for 2-3 minutes and then switch it off. Let the machine cool down and then rinse. ​Use a clean cloth to wipe the parts inside the machine, which will remove mineral deposits. Fill the tank with clean distilled water and run the steamer for a couple of minutes. Switch off the machine and allow to rest for a few minutes until it has cooled down. If the smell of vinegar has not dissipated, repeat the step mentioned above. While you may be tempted to use tap water for your facial steamer, don’t! Sure, using tap water seems like a more convenient option especially when you have run out of distilled water. Facial steamer manufacturers recommend you use purified, distilled water for a reason. Tap water contains minerals that can clog the machine's parts and leave mineral deposits on your face while steaming. Distilled water is free of impurities and has gone through a rigorous boiling process. Using distilled water may not always be ideal, but it is worth it if it can prolong the life of your machine. Do not add herbs or essential oils directly into the steamer if the manufacturers advise against it. Herbs can get stuck inside the machine, causing the steamer to break down. You should read the manual before using essential oils in the steamer. These are just a few important tips you should keep in mind for proper ﻿﻿﻿facial steam maintenance.